A History Of Indian Philosophy: by Surendranath Dasgupta Volume I First Edition: Cambridge, 1922. Contains all the information you need to know about the various schools of Indian philosophical thought. The Grihya Sutras, The Vedic Domestic Ritual Texts This translation by Hermann Oldenberg (1886) contains Sankhyayana-Grihya-sutra, Asvalayana-Grihya-sutra, Paraskara Grihya-sutra and Khadia Grihya sutra. The Dharma Shastras:The Sacred Lawbooks: Apastamba, Vasishtha, Gautama, Baudhayana Dharma Sutras, indexed subject wise and chapter wise. Garuda Purana This is an abridged version of the Garuda Purana containing the description of heaven and hell and matters concerning funeral rites and afterlife. The Rig-Veda, The complete English translation of the Rig Veda by Griffith published in 1896 is available from here. The Great Systems of Yoga Find our what yoga is, the whole field, not just a particular aspect of yoga. The White Yajurveda The Texts of the White Yajurveda (Book 1 to 40) , Translated by Ralph T.H. Griffith,  . This is a complete translation. Sama Veda This is a complete translation of the Sama Veda. Atharva Veda translated by Maurice Bloomfield from the Sacred Books of the East, volume 42,  361245 bytes. This is a partial translation. Abbreviated Gita By Harry Bhalla. To Read the abbreviated version of the Gita and obtain a free Printed Copy of the Bhagavad gita please click here. The Laws of Manu, George B hler, translator Manu was the legendary first man, the Adam of the Hindus. This is a collection of laws attributed to Manu. The ArthaShastra of Kautilya : The book containing about 6000 hymns is a comprehensive manual on how a state ought to be ruled and administrated by a king and his administration. The Vimanika Shastra: Vymaanika-Shaastra Aeronautics By Maharshi Bharadwaaja Propounded By Venerable Subbaraya Shastry Translated Into English And Edited, Printed And Published By G.R. Josyer. A Vedic Reader: For Students By Arthur Anthony Macdonell (1854-1930) . some of the ideas and concepts in this book might have been outdated or you may not agree. But as a reference the work is still useful. The Ramayana: This is an abridged verse translation by R. Dutt of one of the longest epic poems in world literature, depicting the life and adventures of Rama, an incarnation of Maha Vishnu. 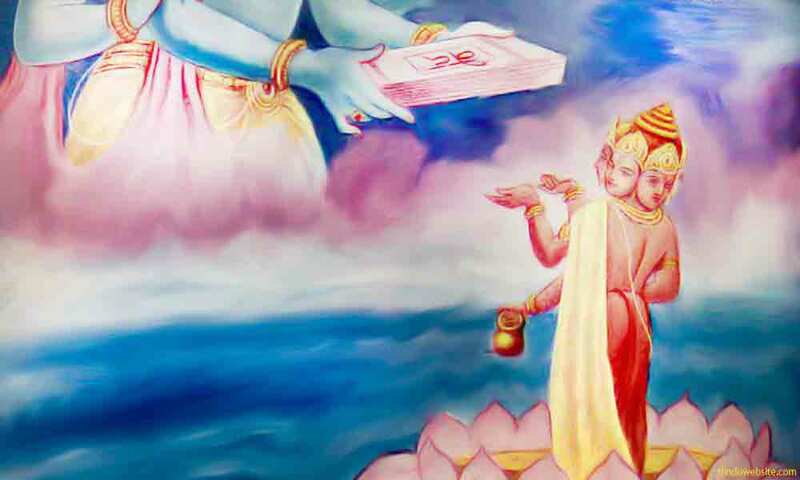 The Thousand Names of Lord Vishnu: The Sanskrit text extolling the virtues and greatness of Lord Vishnu invoking him by a thousand different names.